When Nancy Pelosi appeared on the Stephen Colbert show this week, she was given the opportunity to deliver the standard line about how her Democratic Party will only win the House if voters turn out in force on Tuesday. Instead, Pelosi took a different tack. She went ahead and predicted that the Democrats will take control of the House. Even Colbert seemed surprised by this. So why would Pelosi say this? Keep in mind that Nancy Pelosi is one of the most politically savvy people in Congress. She proved it time and again when she was Speaker of the House. First she expertly ran out the clock on the final two years of George W. Bush’s presidency. Then she managed to get Obamacare passed, even when it looked like the House Democrats simply weren’t going to have the votes within their own ranks. She knows what to say, when to say it, and how to do things. There’s only one reason Nancy Pelosi would go on national television a few days before the election and predict that the Democrats will take the House. She can read the numbers as well as anyone who knows what they’re looking at, and she knows that the Democrats are overwhelmingly likely to indeed win the House. So she’s decided that, playing from a position of strength, her best move is to project that confidence. Among the Democratic voters who are active enough in politics to care what Nancy Pelosi has to say about the election, are any of them going to stay home simply because she said the Democrats are going to win the House anyway? No. They know they have to turn out in force to have a shot at winning the Senate and several key races for Governor. It’s just that we’re not accustomed to seeing Democrats projecting confidence when they’re in a position of strength. 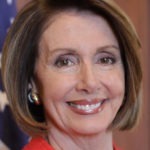 Pelosi seems to understand, better than most, that this is a new era.